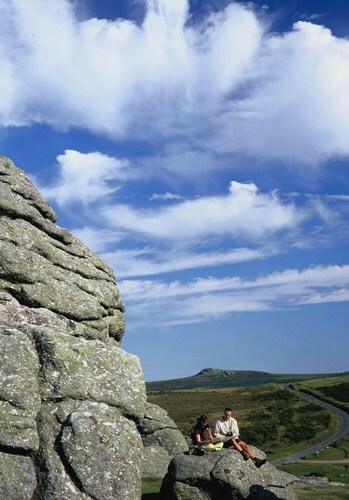 Visit Dartmoor, a designated National Park covering some 368 square miles of Devon. 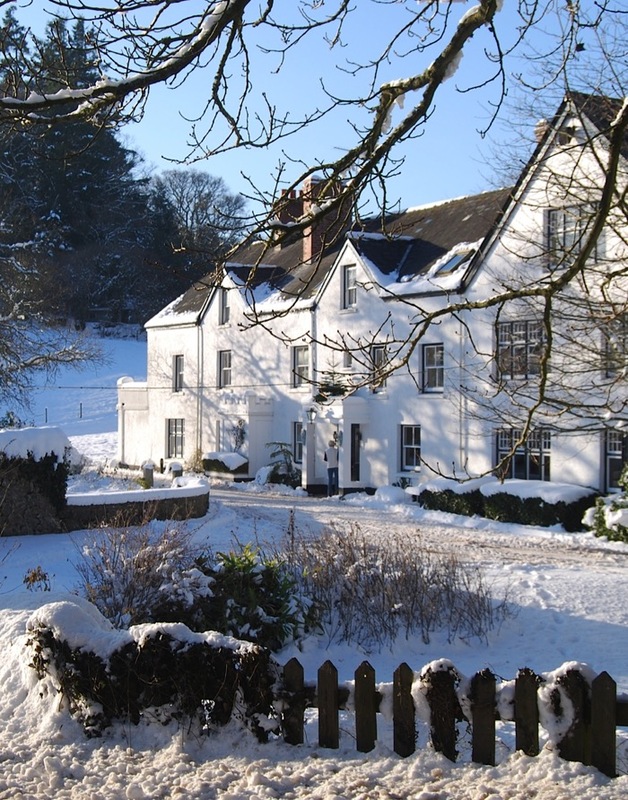 You’ll find Mill End Hotel and Restaurant is the perfect base for your exploration of Dartmoor. While criss-crossed with roads for easy access, Dartmoor also offers huge expanses of largely untouched moorland beauty. Dartmoor is well known for its Tors – sharp hills topped with outcrops of beautifully weathered granite. The Tors are handy way-marks for a walk on Dartmoor – whether for a short but rewarding walk from a nearby car park or, at the extreme end of things, as part of the annual Ten Tors Challenge. The highest point on Dartmoor is High Willhays, just over 2,000ft above sea level. Dartmoor is also the catchment area for many of Devon’s rivers, including the famous River Dart which starts as the East Dart and West Dart, merges at beautiful Dartmeet, and then flows through the town of Totnes before reaching the sea at Dartmouth. Indeed we are in the process of naming our rooms after Dartmoor rivers. As you explore Dartmoor, you may also encounter some of the moor’s wealth of prehistoric remains, mainly dating back to the late Neolithic and early Bronze Age, and numerous standing stones, stone circles and stone rows. There are some thoroughly delightful towns on Dartmoor and around its foothills. While you are here, you’ll want to visit Chagford, a fascinating and attractive Dartmoor stannary town which is a stone’s throw from Mill End. It’s also worth a stroll around Moretonhampstead, just a couple of miles from Mill End, with a nice handful of interesting shops and a few cosy pubs. Tavistock is an award-winning market town on the edge of Dartmoor. Plenty of interesting shops, delightful riverside gardens, and a Saturday farmer’s market. A proper, bustling moorside town. The Dartmoor National Park Visitor Centre in Princetown (also home to Dartmoor Prison!) provides an excellent introduction to Dartmoor, with exhibits showcasing the history and geography of the moor, an excellent shop with maps and guidebooks, and a very helpful team of expert staff to help you make the most of the moor. The Tors on Dartmoor give one of the most characteristic features of the moor. Tors are more numerous on the northern moor. They come in many different shapes and sizes although most consist of striated granite. Some like Great Mistor and Great Links are huge, cyclopean and imposing. Others like Arch Tor and Flat Tor are rather small and nondescript. Some are avenue tors where two or more piles of granite are separated by a lawn of turf. Others are dome shaped with comparatively little erosion. Some have debris fields (or clitter) that litter the hillsides below. A few have no names at all. Dartmoor has something for everyone, and for all seasons. Explore from the comfort of your car, take a walk (short or long), enjoy a Devon cream tea, play a round of golf at Bovey castle or Okehampton, go fishing at Mill End, enjoy the excitement of falconery or pop down to Widecombe and visit the fair made famous by Uncle Tom Cobley . All yours to enjoy when you visit us here at Mill End and we can arrange these activities for you.